Over Christmas 2017 I sailed with Holland America, my first new cruise line for quite a while, as my family is very loyal to P&O Cruises! 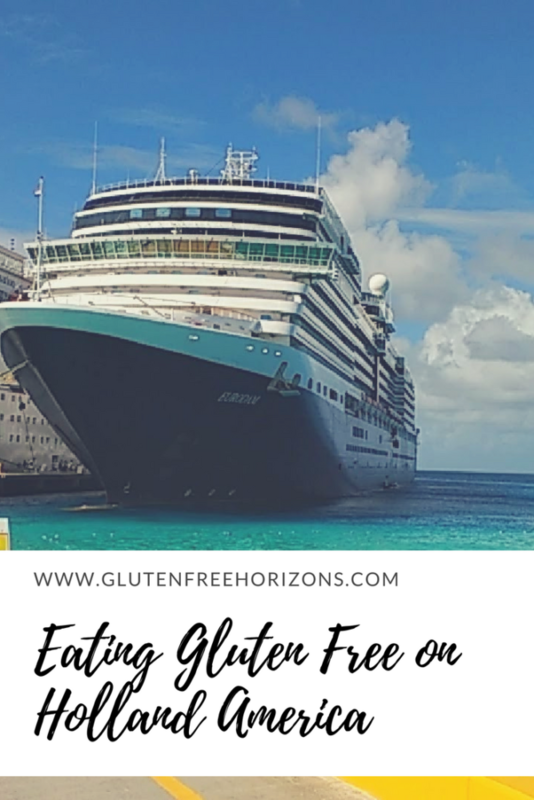 It was interesting to sail with a new line, particularly from a gluten free standpoint, as I think Holland America has been my favourite gluten free experience so far! 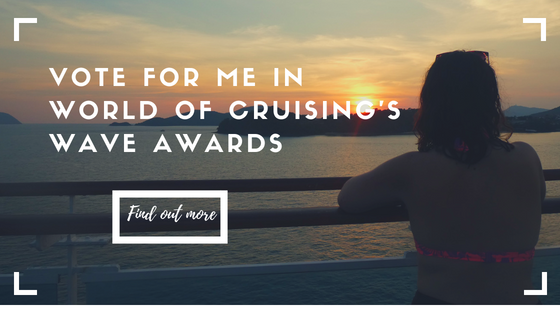 It only differed slightly from the P&O Experience, but it was some small simple things that made a difference from P&O and Princess Cruises. I think the buffet is the main reason that Holland America stood out. In terms of the hot food, caution is required as always, but the guys behind the buffet were very happy to check for me what was safe or not. At breakfast time, there was an omelette station cooking omelettes fresh to order with a wide choice of fillings. At lunchtime this turned into a salad bar. Rather than some of the limp, boring looking leaves you see on the help yourself buffets, everything was fresh and delicious! You could either choose your own toppings or they had a menu of suggest salads that they could knock up for you. Usually I’d moan at being stuck with salad but they were so tasty I actually chose to go to the salad bar pretty much every day for lunch! Like Subway salads, there was just something that made them addictive! As is routine sailing gluten free, the procedure here was to preorder your food from a head waiter a day ahead so that everything could be made gluten free. 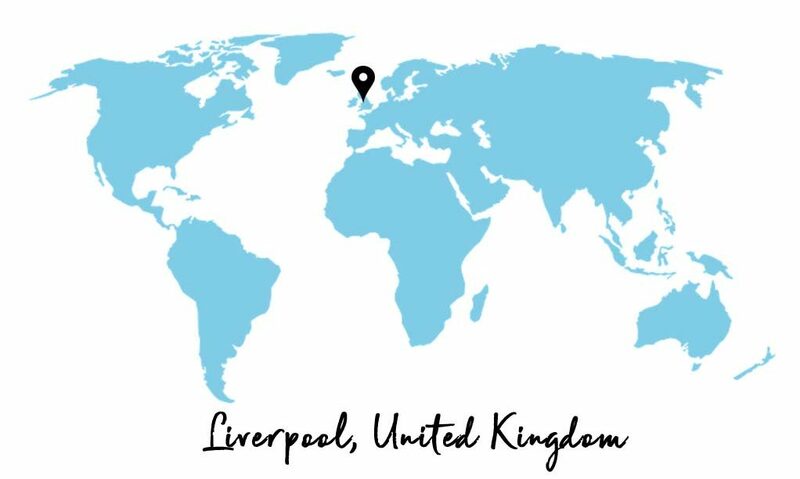 The food here was really good, my only criticism would be the organisation of the freedom dining – they couldn’t seem to cope with people choosing their own dining times! It got better as the week went on, but it meant dinner on Christmas day took far too long! Sometimes, you just want to kick back and relax by the pool with some junk food – not normally an option when you’re gluten free! I was really excited to find that there were gluten free options at both the Dive-In Burger Bar and New York Pizza bar. 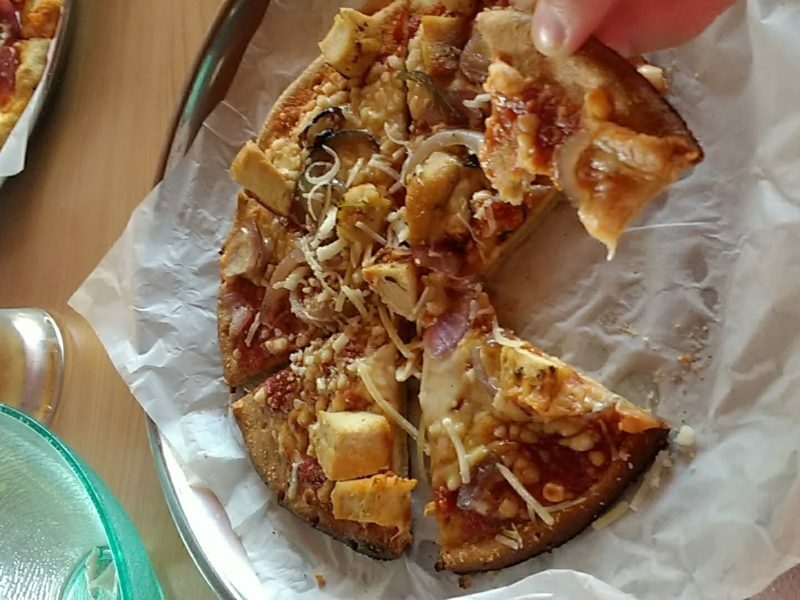 The pizza bases were a bit cardboardy, but the toppings were good enough. I have to say though, those burgers were far too good. Nice gluten free buns, and really juicy burgers patties – I highly recommend The Back Flip! I’m glad I was only on the ship for a week – I would have ended up putting on a lot of weight between the two deck food facilities! With these bars, you go up to the bar and order, and you’ll be given a buzzer to alert you when your order is ready – no standing around waiting! 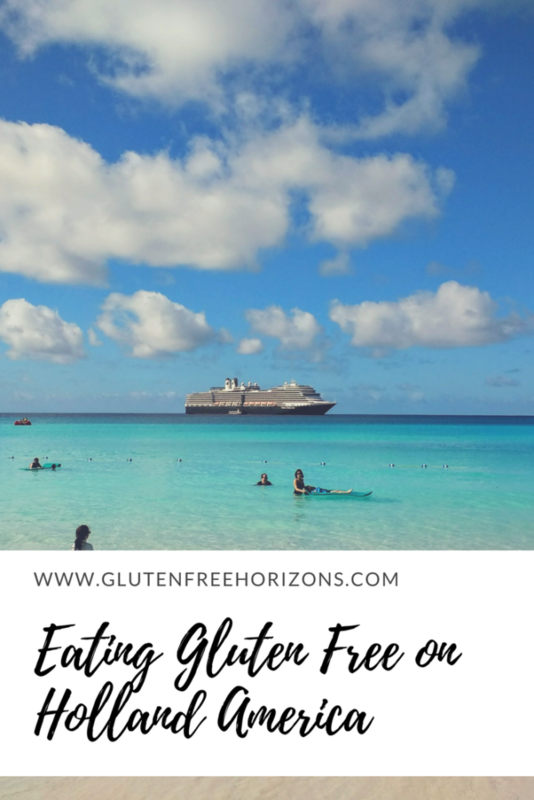 Would I recommend Holland America for gluten free travellers? 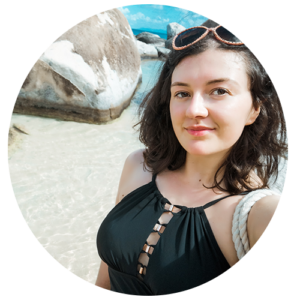 I’d definitely recommend Holland America for gluten free travellers – the only thing that would have improved the whole experience would be enjoying a drink with dinner – the alcoholic drinks were excruciatingly expensive onboard! It may be worth looking into drinks packages if you are particularly bothered about having booze on your cruise. 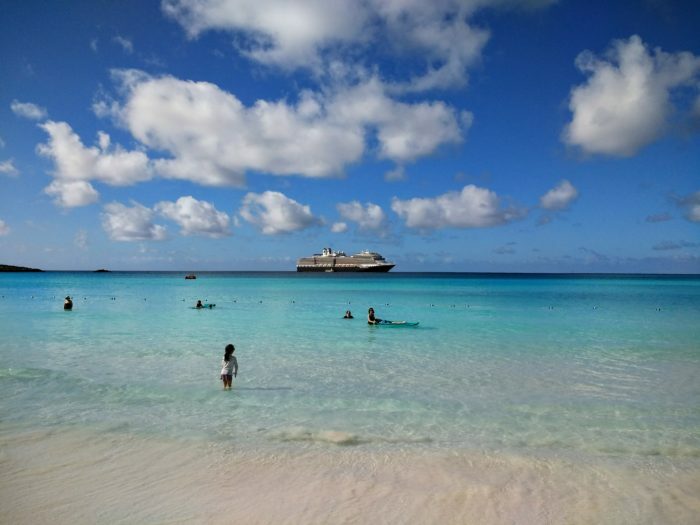 Have you travelled with Holland America before? Let me know how you found it in the comments below! It’s nice that it is so easy to get these days! I remember my doctor put me on a gluten free and lactose free diet a couple years ago and I had to learn how to cook again if I wanted anything proper. The gluten free options at the time were slim or just plain bad. Thanks for sharing. It can still be a challenge depending on where you are but from what I’ve been told by other gluten free people, life is a lot easier than it used to be! And yes, it has certainly forced me to learn to cook from scratch a lot more! thanks for your review. we are considering HA for the first time… and as celiac, need GF meals…your review was very helpful!!! 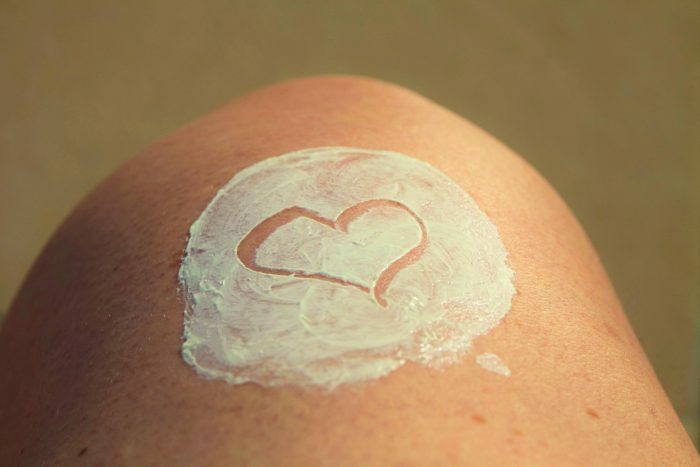 Thanks Sue – my experience of HA was great, hope you enjoy yours! Let me know if there’s anything else I can help with!